FFG has released another preview of Gears or War. This game is really starting to get my interest. 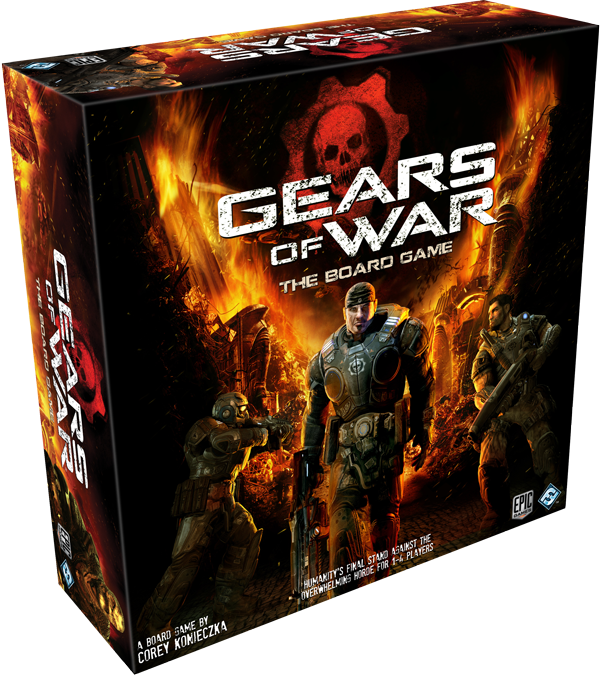 Last month, Fantasy Flight Games announced the upcoming release of Gears of War: The Board Game, a fully cooperative board game for one to four players. Designed by Corey Konieczka, this action-packed battle against a cunning AI opponent is based on the wildly popular series of third-person shooters by Epic Games. Today, we’ll take a brief look at the chief protagonist of Gears of War, Marcus Fenix, and we’ll see how his COG Character card conveys his unique stats and abilities. Then we’ll examine several Order cards, discussing how these versatile components are used to execute a broad range of tactical options. Full news as always at their site.